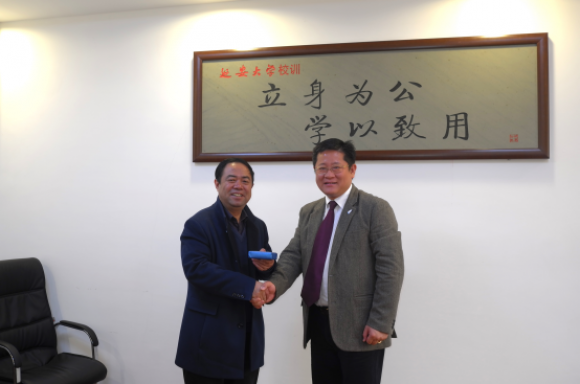 With the invitation from Shaanxi Provincial Government and partner universities, CEO of AEMG Mr. Roger Li, Director of Global Engagement and Partnership Development Mr. Elroy Duan and other staff visited Shaanxi partner universities from March 5th to March 8th, 2016. Accompanied by relevant officials, the delegation visited Yan’an University, Shaanxi University of Science and Technology, Xi’an University of Architecture and Technology, and Xi’an University of Science and Technology. Initiative intention of launching joint education programs, joint research, teacher training and other programs among AEMG, Chinese and overseas universities has been achieved. Through the visits, the mutual understanding between AEMG and partner universities has been furthered, which has extended collaboration fields and raised collaboration levels.